This is the 2nd of our Limited 3 day Courses. This is the 2nd one of 2019 and is for intermediate sourdough bakers. This about baking sourdough & well being. 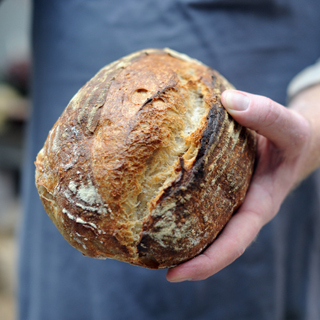 You will learn to make beautiful sourdough bread, whilst learning about yourself and the composition of your gut microbiome, and how your diet affects both your physical and mental well being. With your personal microbial analysis you will then attend a 3 Day Sourdough & Gut Microbial Health course here at the school. This is followed by a 12-month home-development program, with a class forum, formula’s & step by step guides. At the end of the 12 months you carry out a 2nd gut microbial analysis to see any differences in the balance of your gut microbes through changes in your diet. There is an ever-increasing body of evidence linking gut microbial diversity and balance with optimal health. Not just physical health, but general well being, and the way you feel. This course was developed from, what was originally, the 1-day Royal College of General Practitioners’ accredited Bread Nutrition and Digestibility courses for GP’s. However we have had so many requests to combine this evidence-based course with a practical version of to how to make sourdough bread, along with the desire to understand more about our own individual gut microbiome, that we have developed a new course to do just that. 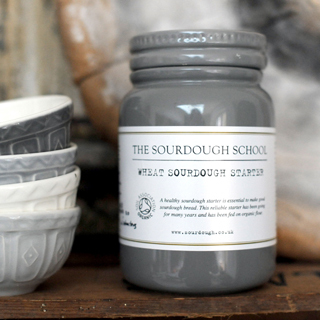 Suitable for any level this course teaches you not just how to make sourdough but why and how eating in a way that supports gut microbial health may well be beneficial in supporting your health. The course starts with you getting your gut microbiome tested and then with your personalised results, attending the school so you can learn how to use specific bread making techniques that focus on your individual microbial balance and the relationship between fermentation of bread, wholegrain, fibre, probiotics, prebiotics, and using wild cultures. 2 months before the course. Before you attend the course we will send you an Atlas Biomed gut microbial testing kit. This is a simple procedure and you will learn about the composition of your gut microbes. This needs to be carried out 2 months before the course. 1 month before your course and you will receive the results of your gut microbial tests. This gives you time to read and process the knowledge of your personal gut microbial analysis and make-up of your personal profile. The tests are accompanied by a fantastic amount of feedback and support by Altas Biomed. Everyone’s microbiome is different, so by taking the time to understand your individual microbiome the techniques that you learn on the course are relevant and applicable to you as an individual. Using nuts, seeds & fruit, to increase flavour, texture & nourishment of your bread. Looking at how longer, slower fermentation increases the ease of digestibility & nutritional value of your bread. We have modules that include an overview of bread and diabetes, obesity and weight issues, IBS, as well as autoimmune diseases & how you can help reduce inflammation. 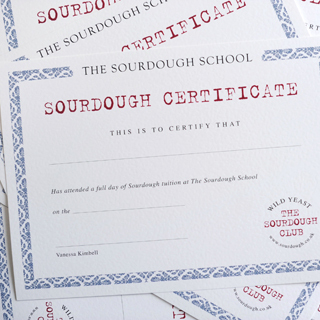 Continuing to learn and develop sourdough and applying the techniques & recipes you learnt with dozens of in depth articles and studies – the course doesn’t end when you leave the school. The program is supported with the 12 months access to the GOLD student tutorial package, with over 300 supporting articles, and class notes. 1 year on…RETESTING your gut microbiome to determine any changes. This has been put together using Vanessa’s research, and is based on applying an understanding of the specific mechanisms by which fermentation of grain potentially supports gut microbial health, and applying the techniques and knowledge to both the bread and the accompanying food. 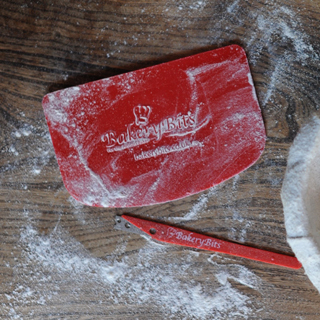 We will be referencing reliable, science-based evidence, and discussing these as we bake. Vanessa is a French-trained & qualified baker & chef and currently studying towards a PhD in Nutrition & Digestibility of Bread, so you can also expect a truly delicious long weekend of amazing loaves and delicious lunches devised to optimise gut microbial health. All the supporting drinks, ferments and pickles that accompany the lunch recipes are also shared with students. We also take a short break each day to walk outside and enjoy the gorgeous rural location and wander around Vanessa’s beautiful English Country Gardens. We are a centre for research as well as education and this course is subject to our terms & conditions. Please read these before you book. By booking you are accepting these terms. Places are strictly limited to 10 students, and there are only 2 dates in June 2019 & September 2019. 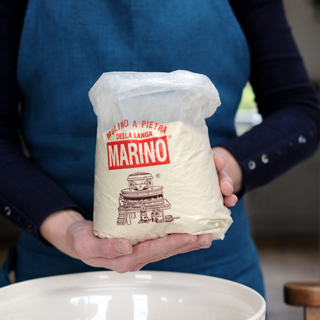 All students will receive a certificate, a bag of Mulino Marino flour, a dough scraper and a ceramic pot of our organic sourdough starter.